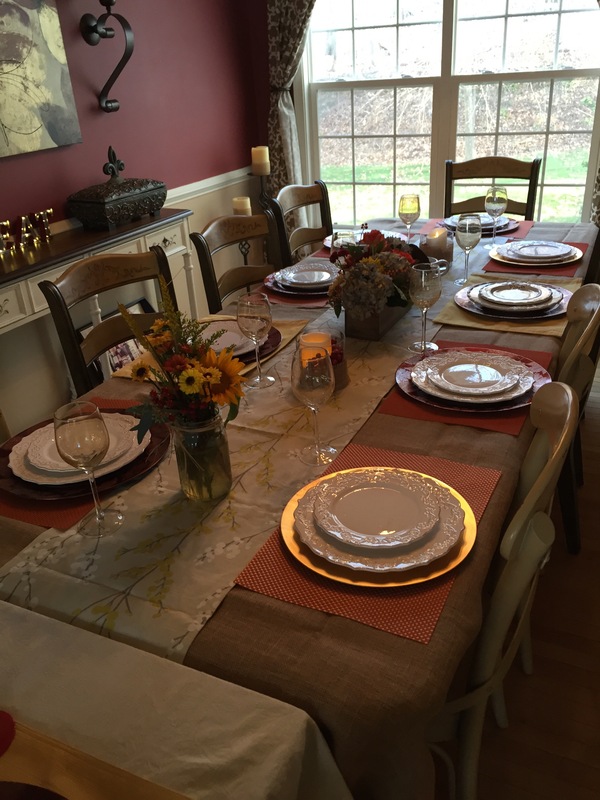 Remember I shared last month about my new dining room from Raymour & Flanigan? I’m still totally in love with it. 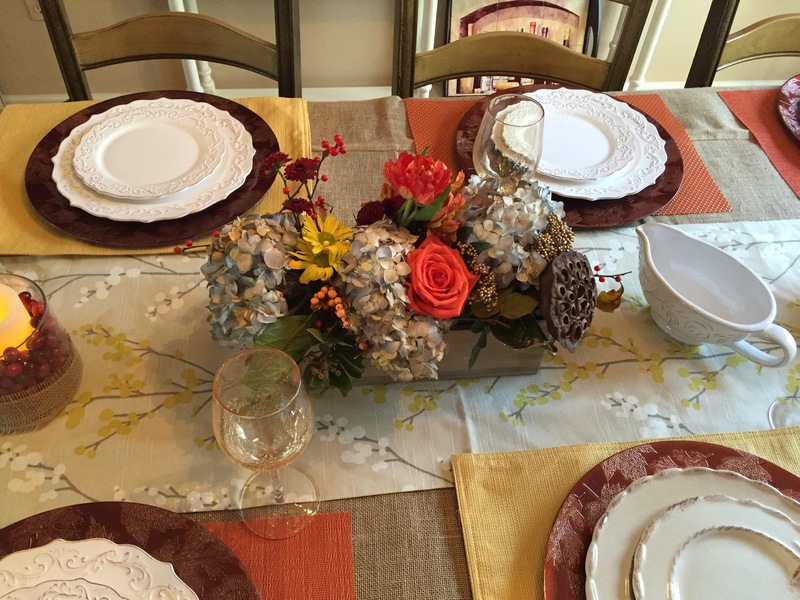 And I wanted to share with you guys some of the photos from our Thanksgiving table set! I know it’s a week late but better late than never, right? I just ADORED this look. I had 18 guests for Thanksgiving. 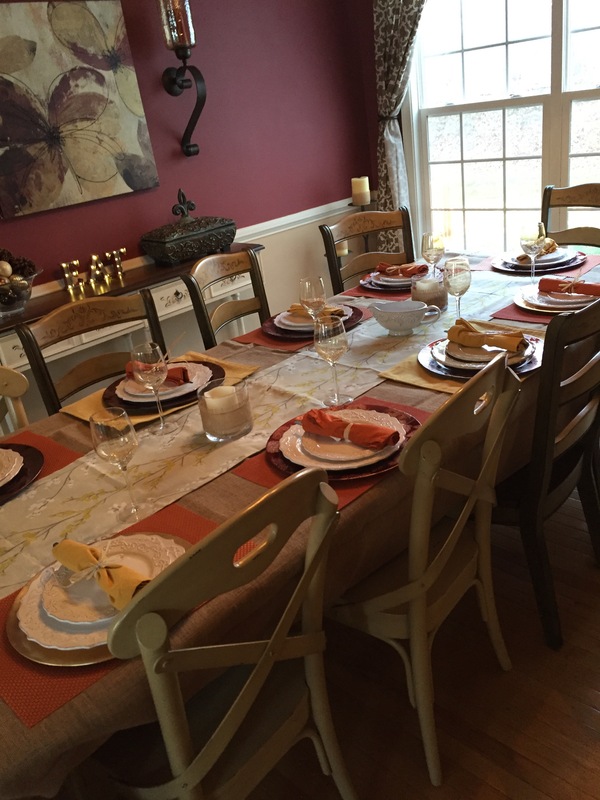 We put both leaves into our Vineyard Dining Set to accommodate the extra bodies and were able to seat 8 very comfortably at the dining room table. We probably could have squeezed more in but we had added our kitchen table and a small folding table to the room to make one long banquet style table. I wanted everyone to have adequate room for eating! I may be biased but it turned out really nicely, right? I pieced everything together from various places. The burlap tablecloth came from Joss & Main. 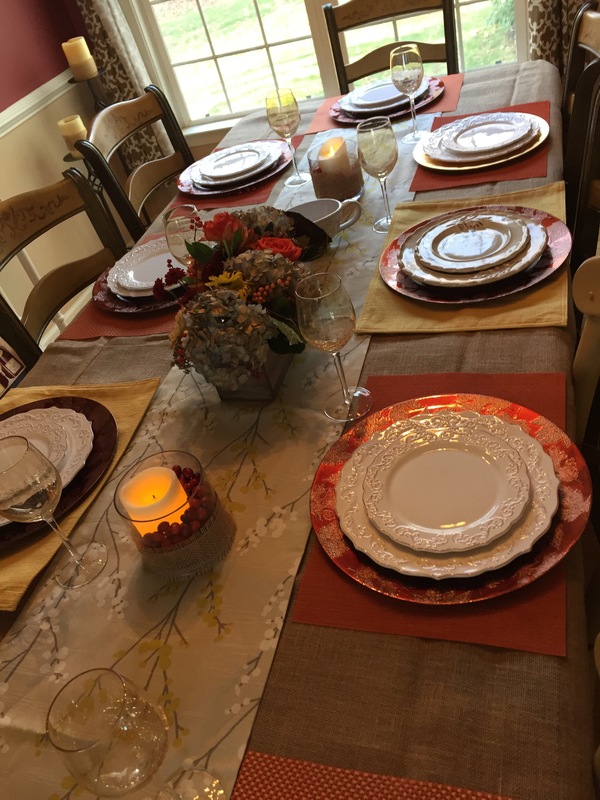 I was due for some new everyday plates so I bought the plates from the Antique Scroll Dinnerware from Pier1 as well as the Crackle Stemware wine glasses. These flowers above came from a local florist who works out of her house but I also got a few smaller floral arrangements from Wegmans. 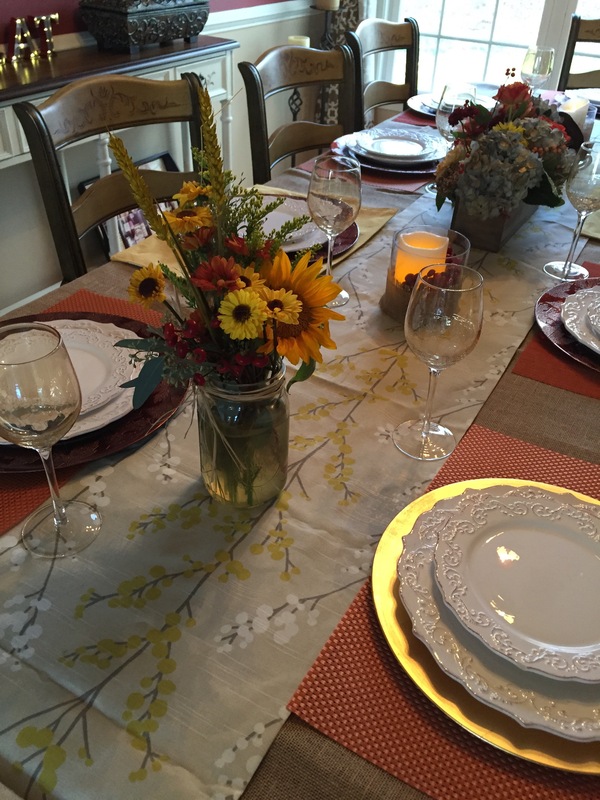 The beige table runner was from Amazon. It all just really came together and it was wonderful making memories in our new dining room. As I’ve said before, furniture in a room can really just change the overall feel completely! Raymour & Flanigan has so many great furniture options for every style. And hey, right now they have some phenomenal cyber week savings so if you are in the market for any furniture, now is the time to check them out! A gorgeous table and setting. All came together beautifully!